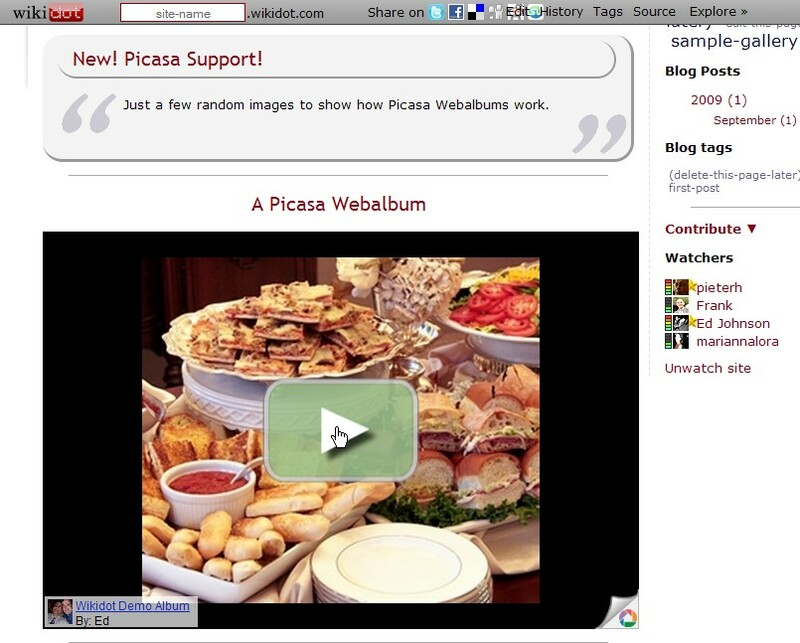 If you haven't done so, you'll need to create an account at http://picasaweb.google.com. 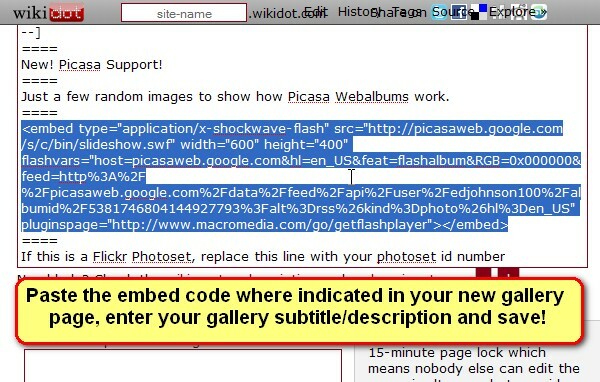 Assuming you have an account and have created one or more web albums, here is how you find the embed code you need to display your Picasa Webalbum here. 1. 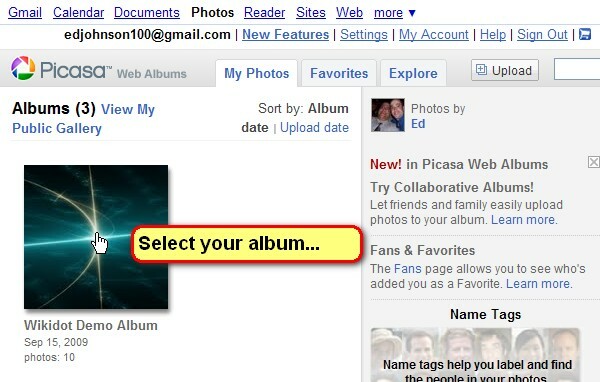 Log into your picasaweb account and select the album you want to use. 2. 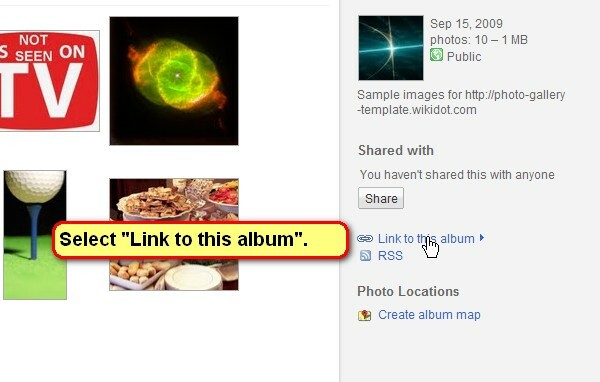 Select "Link to this album" in the right side panel. 3. 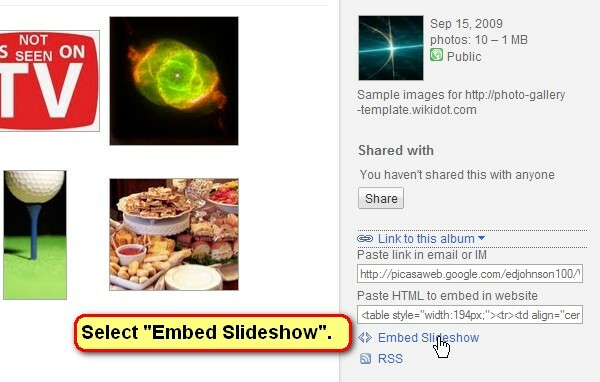 Select "Embed Slideshow" in the section that opens up. 4. 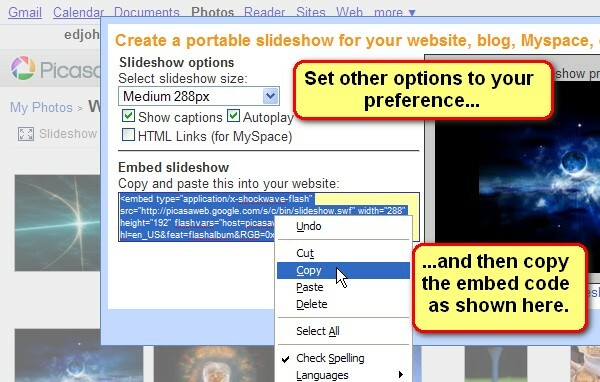 Select the Slideshow options. 6. 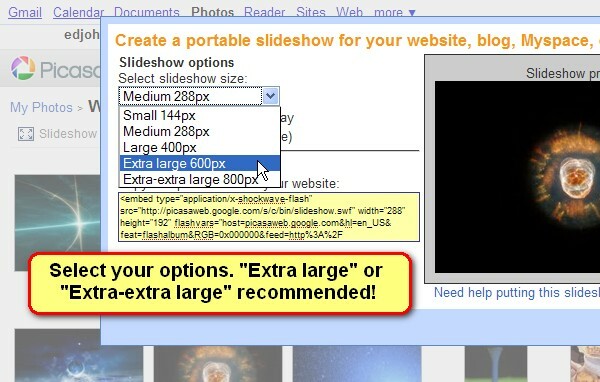 Paste it into the correct place in the Photo Gallery page you are creating.